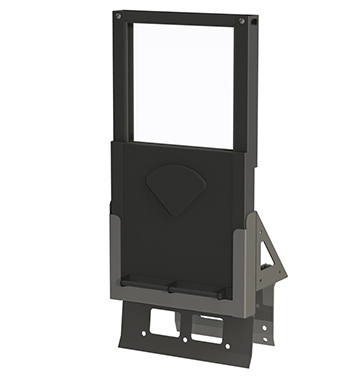 Barrier Cap™ | Defenshield, Inc. The Barrier CapTM is an armor and glass system designed to add vertical transparent ballistic, blast and fragment protection to concrete barriers. 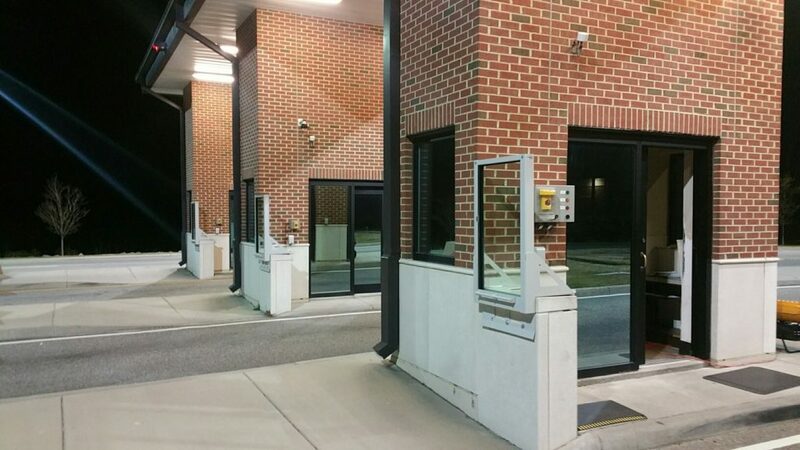 Ideal for military bases and outposts, as well as critical infrastructure and heavily secured facilities, the Barrier Cap is an effective way to immediately create a secure area providing head-to-toe protection with 360-degree visibility. National Stock Number (NSN) information is below. 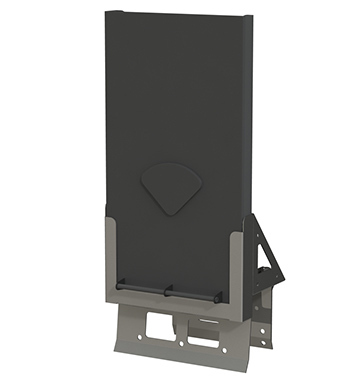 Barrier CapTM units are designed to fit existing concrete barriers and provide approximately 3.5 additional feet of NIJ Level IV Armor-Piercing Resistant vertical protection. Caps are available in 2-foot modular sections of either full glass; full armor with a weapon port; or 1/2 glass-1/2 armor with a weapon port. They can be placed in sequence to create a barrier of any width required. 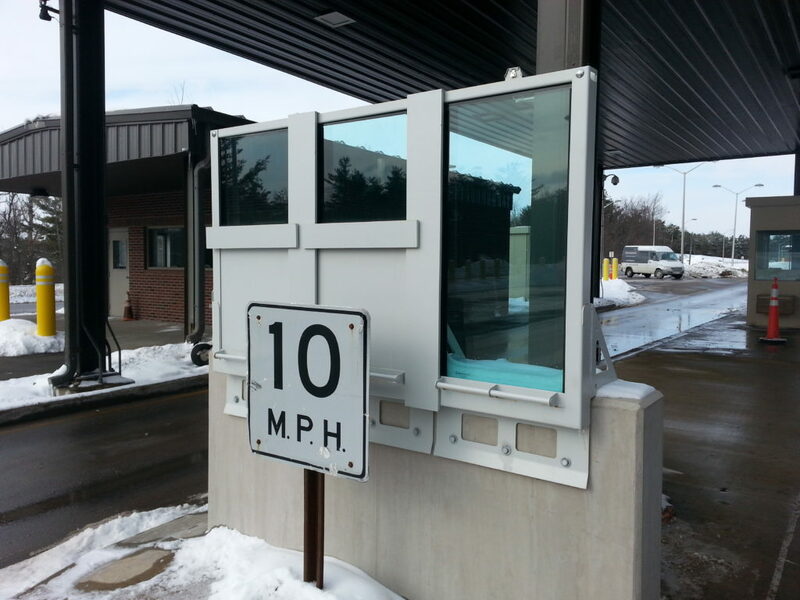 By adding transparent armor, the Barrier CapTM greatly extends the protective capabilities of concrete barriers. After creating a custom wall of any configuration, soldiers and other personnel may carry out daily tasks in hostile territory protected from potential sniper fire or other enemy attacks. 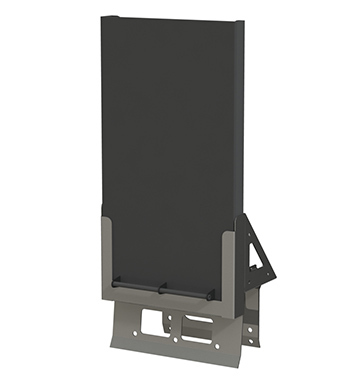 The Barrier Cap system ships in 2-foot modular sections on a pallet. 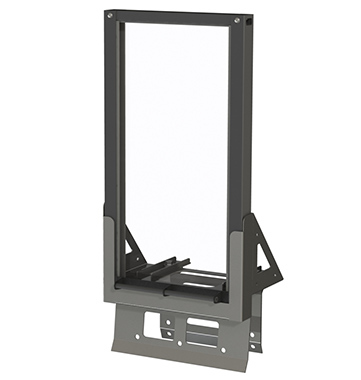 Mounting the unit on a local concrete barrier requires equipment or personnel capable of lifting 250 lbs. The base bracket is fitted first onto the concrete barrier. The top view/port panel is then lifted and slides into the base. Assembly time is approximately 5 minutes per section. 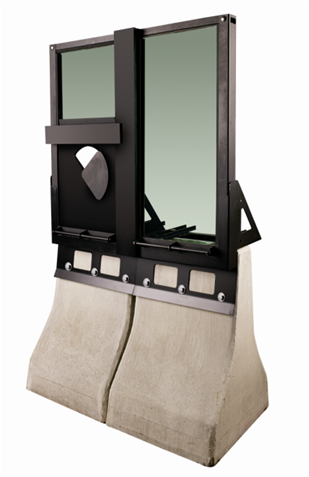 For full blast and wind resistance, base brackets may be secured using a hammer drill and 7/8″ diameter (8″ usable length) masonry bit. All necessary anchoring hardware is included.